I just hit publish on Amazon Kindle for Crazy Water. It generally takes 12 to 24 hours, so sometime tomorrow it will be available for purchase. Crazy Water – is he Comanche, half-breed, or white? The four men who find him with a head injury on the riverbank, name him Crazy Water. He doesn’t know his true name or where he comes from. He is dressed in Comanche garb, speaks the Comanche tongue fluently, and has more knowledge of hunting and tracking than most boys his age. He remembers nothing of his life before he was found at the riverbank. For nearly ten years he lives as a Comanche. When the Jerome Agreement is put into effect, giving each Comanche 160 acres of his own land, thereby breaking up the Kiowa, Comanche, and Apache reservation, Crazy Water and his friends decide to take advantage of this and return to the reservation for their share of the land. When he meets beautiful Kyah and they fall in love, he concentrates on building a life without ever learning the answers to his questions. Will he ever learn who he is? If he has parents or other family? Or will his past remain a mystery forever? 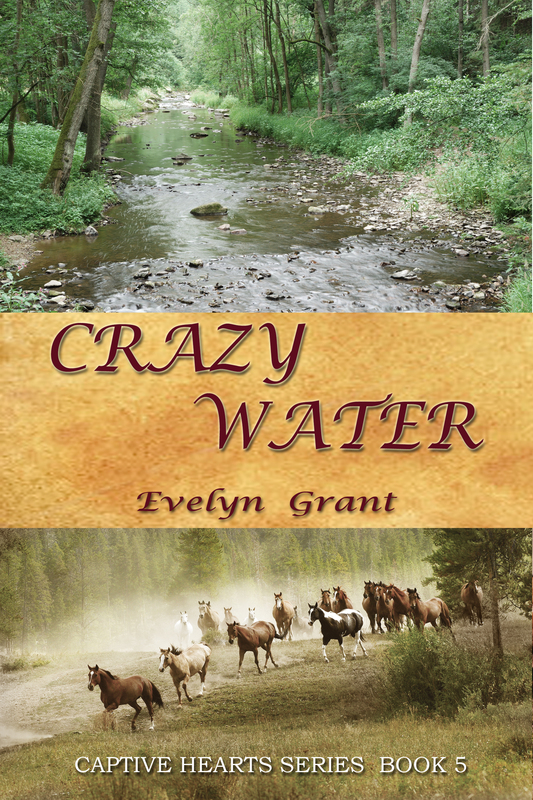 This entry was posted in Book Info and tagged Captive Hearts series, Comanche, Crazy Water, Evelyn Grant, Westerns by Evelyn. Bookmark the permalink.